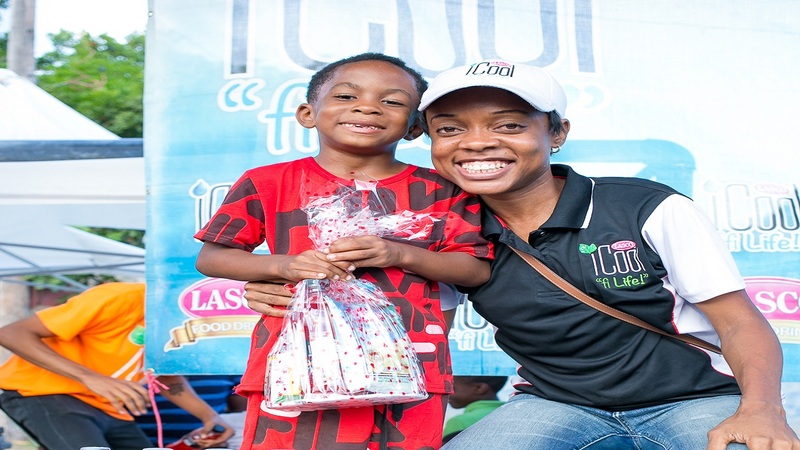 Five-year-old Jayquone Carby (left), who thrilled the crowd with his dance moves, happily collects his prize and shares a smile with Lyshon Davis (right), brand manager for LASCO iCool, at the iCool and Food Drink Community Link up at the Balmagie Football Field in Waterhouse. 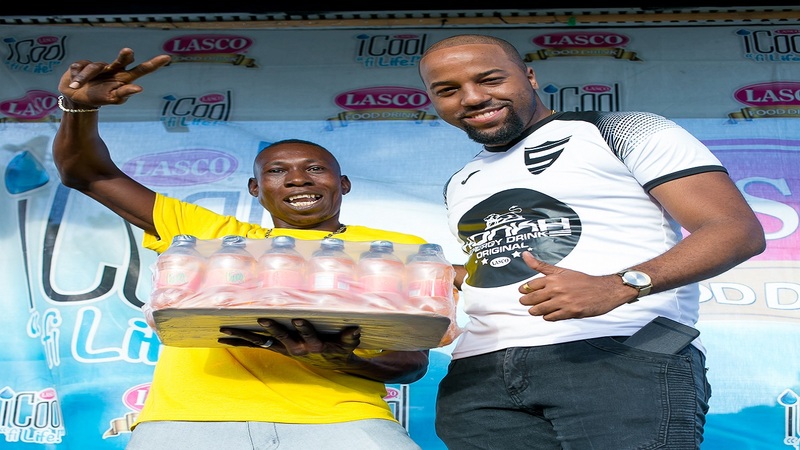 iCool and LASCO Food Drink recently invaded the Balmagie Football Field in Waterhouse to bring games, prizes and surprises to the community and surrounding areas. Community members welcomed the LASCO team and eagerly took part in the many activities the day held. 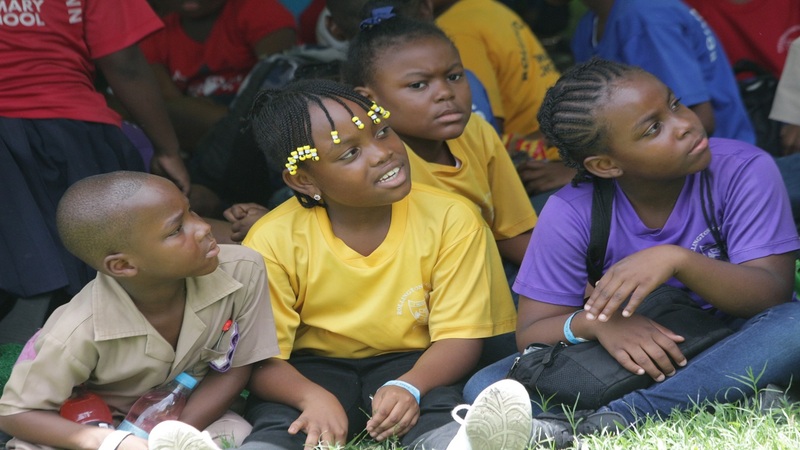 Both children and adults were catered to as the day featured a LASCO Food Drink Kids zone, an iCool Game Arcade and a number of field activities. 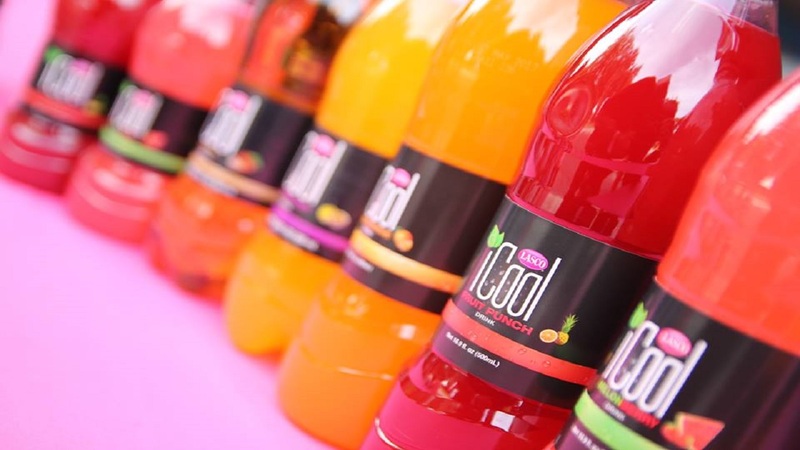 According to Lyshon Davis, LASCO Beverages Brand Manager, the link-ups hosted by LASCO iCool and Food Drink were well received in the different communities. 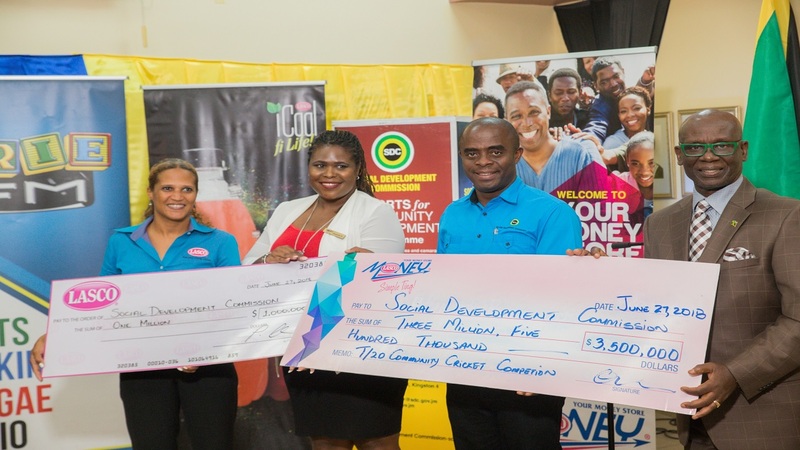 “The concept came about because we wanted to give back to the different communities that have been supporting LASCO especially iCool and LASCO Food Drink,” explained Davis. LASCO iCool, being a key sponsor for the Waterhouse Football Club, saw it fit to not only give back to the community in this special event but to also remind their customers that they appreciate the support received over the years, especially support coming out of the Waterhouse community. 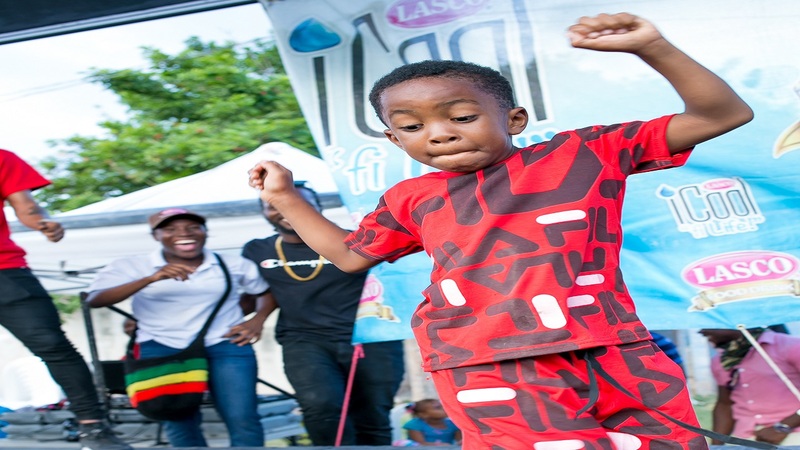 Dancing to Ding Dong’s Flair is in the Air, five-year-old Jayquone Carby lights up the LASCO stage during the dance competition put on at the LASCO iCool and Food Drink Community Link Up. “We have never done a big event in Waterhouse. They have been buying a lot of our products and we have a lot of small shop accounts here. So we decided that we need to give back to the community. There is a lot of things going on in Waterhouse so we wanted to bring everybody together, let them enjoy themselves, enjoy each other and enjoy the brands that we have here,” concluded Davis. In partnership with two other LASCO brands, namely LASCO Konka Energy Drink and LASCO Mackerel, the day featured a Konka Domino Tournament and a grand LASCO Mackerel cook-off. The winning Domino duo, Marlon Turner and Linton Edwards, received a cash prize of $25,000. “It was a great tournament for the community. It brought the youths back into the community and united the community. It was a great feeling in Waterhouse,” stated Turner. After impressing the crowd with his lyrical prowess in the LASCO DJ Competition, Winston Smith (left) basks in his second victory of the day at the LASCO iCool and Food Drink Community Link Up held at the Balmagie Football Field in Waterhouse on Sunday, July 29, 2018. Presenting Smith with a case of LASCO’s new carbonated drink, Lyrix, is Brand Manager for Konka Energy Drinks Andre Ellis (right). Community members were also invited to take part in LASCO iDrade’s special six-a-side football competition. Friends and neighbours came together to form teams and went head to head battling for the $30,000 cash prize. In the end, the men of the Brother Link Team came out on top. “It was a tough one but our team played together well, we were organized and we were a unit. We worked together and accomplished what we needed to. We won $30,000, water bottles and some iDrade,” said Earl Simpson, Team Captain of the Brother Link Team. According to Marlon Brown, Waterhouse community member and second place winner in the Konka Domino Tournament, the link-up was a welcomed experience. “I love it. You know from when we don’t have so many people in one place in the community? It shows that if the companies decide to, they can do great things for the community. We are always going to support things like this because we say positivity,” said Brown. Like Brown, many persons were pleased with the camaraderie that the event fostered and many walked away winners. Troy Chambers walked away with a brand new bed courtesy of LASCO Food Drink; Shantol Kerr was one of the lucky raffle draw winners and who was gifted two cases of LASCO iCool and a brand new Cooler. Ramona Dallas, Latoya Linton and Winston Smith placed first, second and third respectively in the LASCO Mackerel Cook-off and received cash prizes for their scrumptious dishes. The first iCool and LASCO Food Drink link-up was held at the National Heroes Circle last November. It catered to the Allman Town community and surrounding areas who were treated to much of the same afforded to Waterhouse residents.